This is a reblog from my channel for SageWoman Magazine at Witches and Pagans. To read the full article, click HERE. Druidry is all about relationship, and you cannot have relationship without some form of communication. It may not always be in words, human to human, but opening those lines of communication helps us to perceive that the world is more than just our own sense of self. When we begin to see that there are other perspectives, other points of view we also come to an awareness that the world is being experienced by each being individually, in a collective state of unity dictated by space and time. Events around the world this year have shone a spotlight on discordance, in human to human relationship, and in human to other-than-human relationships. Violent attacks, disregard for the environment, the increasing gap between the rich and the poor and more can be attributed to an “Us” and “Them” mentality. When we remove this dualist point of view, and encompass a more holistic approach, we see that what we do to others, we do to ourselves. In Buddhism, it is acknowledged that suffering exists in the world, and that this suffering is caused by the illusion of separation. If we look deeply enough scientifically, anthropologically, and even spiritually we can see that there is more that binds us together than tears us apart. Continued at Witches and Pagans HERE. Sheena Cundy and Tania Copsey created the most wonderful set of oracle cards, called The Magic of Nature Oracle. I have a few oracle decks that I work with – Brian Froud’s The Heart of Faerie is brilliant for specific questions that I may be looking for insight into. I use the Magic of Nature oracle cards for general interpretation and insight, to confirm and affirm actions and experiences and they are always spot on. Yesterday I had a lovely little ritual with my friend out on the heath, beneath a copse of silver birch trees. We lay down on the ground and opened our hearts and souls to our respective goddesses, feeling the energy of the earth rising towards the surface, to lengthening sun, Her energies stirring our souls into action, re-awakening our spirit even as the snowdrops appear on the forest floor. As I lay on the earth my heart was filled with such love for the earth, for my goddess and all that she represents. It re-awakened a love that had lain dormant for a time this winter. That love flowed between us, inspiring us to action. We left our offerings and prayers, and made our way back home. Later that evening after I meditated at my altar, I took down the Magic of Nature Oracle and asked for a general reading. What card came up? Love, with two beautiful swans. We had discussed swans in our ritual earlier, and it was simply the perfect card to represent all that had happened that day, and all that inspires me on my path, as well as reminding me of my beautiful sisters who walk this path with me. The cards are so very different from any other oracle deck. With animals, trees and seasons it covers a lot of life in beautiful representations both in the word translation of the cards and the artwork itself. If you are looking for a deck with a difference, something that isn’t simply replicating other decks available, then the Magic of Nature Oracle cards is for you. 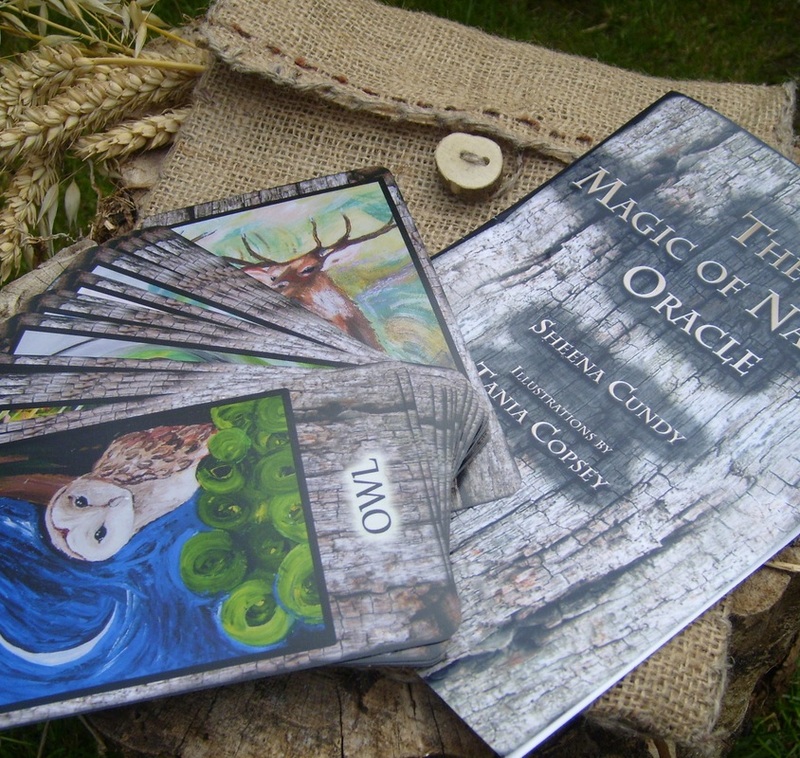 You can find out more about Crafty Crones, Sheeny and Tania’s company, as well as the Magic of Nature Oracle deck HERE.